This online version is for convenience; the official version of this policy is housed in the University Secretariat. In case of discrepancy between the online version and the official version held by the Secretariat, the official version shall prevail. 1.00 This policy establishes the commitment of Wilfrid Laurier University to enhance, wherever possible, the quality of social, economic, and ecological sustainability at a multi-campus level. 2.00 Recognizing that its activities have an impact upon the environment, Laurier acknowledges a responsibility to protect the environment and the health of its members and the community. 3.00 The university is committed to sustainability now and in the future and will strive to motivate our communities through excellence in teaching and learning; discovery and scholarly exploration; application of new ideas; and dedication to courageously engage and challenge the world in all its complexity. 4.00 Sustainable Development is development that meets the needs of the present without compromising the ability of future generations to meet their own needs. At Laurier, the scope of sustainability involves education (programming and academics), operations (facilities and business operations and capital planning), and community partnerships. 6.00 This is a multi-campus policy and is therefore applicable to all of Wilfrid Laurier University campuses. 7.01 Protecting the environment and promoting the minimization of the university`s environmental impacts in relation to transport, waste, energy, water, procurement and construction both through its direct actions and through its influence on others. 7.02 Developing a collaborative approach to sustainable management within business operations by adopting sustainable policies and practices. 7.03 Understanding and improving social justice issues in terms of how our activities impact the local and broader community. 7.04 Minimizing risk by providing a safe and healthy environment for faculty, staff and students in accordance with the University’s policies. 7.05 Promoting the active engagement and awareness of sustainability to members of the university and local community. 8.00 The University will seek to continuously improve its environmental performance in the areas of facilities and business operations, capital planning, education, and community partnerships. 9.01 Work with faculty, staff, students and service providers to significantly reduce the University’s waste output to landfill through the development and implementation of best practice waste management, strengthening segregation and recycling regimes to increase diversion and promote waste minimization. 9.02 Identify opportunities and implement programs to reduce energy consumption to significantly reduce the University’s emissions while establishing robust systems for energy monitoring and targeting. 9.03 Identify opportunities to reduce water consumption, implement water conservation measures and promote the efficient use of water among faculty, staff and students. 9.04 Review parking requirements and policies in terms of Transportation Demand Management to support and provide alternative transportation options to faculty, staff and students. 9.05 Assess, wherever possible through all life cycle phases, the sustainable impact of all purchases, in terms of raw materials, manufacture, distribution, use and disposal, and to assess suppliers in a number of areas. 9.06 Maintain sustainability design standards for major projects that will enable the University to work towards LEED green building standards for new build, and introduce principles of sustainable construction, renovations and landscape design making use of full cost cycle accounting. 9.07 Promote and integrate sustainable food systems within campus operations by supporting local, organic, and healthy options. 9.08 Follow key performance indicators (priorities, targets and timetables) that monitor sustainable performance. 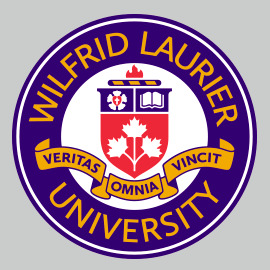 10.01 Aim to ensure that all students of Wilfrid Laurier University are aware of and active in issues relating to sustainability through academic programs and activities. 10.02 Expand existing academic programs and research related to sustainability issues. 10.03 Provide education and training for faculty, staff, and students to make a full contribution to the University’s agenda for sustainability and to study, work and live in an environmentally responsible way. 10.04 Raise sustainability awareness among faculty, staff and students about the University’s environmental impact, activities and performance at the individual, University, and community levels. 11.01 Collaborate with off-campus organizations including local government, business, citizen groups, agencies, and institutions to support a healthy sustainable region. 11.02 Build partnerships with the local community, municipal, provincial, and national organizations to progress the sustainable objectives of the University. 11.03 Collaborate through a steering committee consisting of representation from students, faculty, and staff to ensure that issues relating to sustainability are addressed.